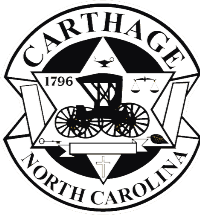 Carthage, the county seat for Moore County, was incorporated in 1776. The name was changed to Fagansville in 1806 in honor of Richardson Fagin for letting the county seat be moved from his house to another tract of land he donated to the county. The name was changed back to Carthage in 1818. The exact reason is unknown, but we've been called Carthage ever since. If you are a local business owner and/or dedicated to helping the Town of Carthage downtown grow and thrive, please consider participating in the Downtown Business Committee. Applications are available at Town Hall or by calling (910) 947-2331. 4396 US 15-501 Hwy, Carthage, NC 28327. We are grateful for participation! Working together, we can accomplish a lot more! The Carthage Board of Commissioners regular scheduled meetings are held on the third Monday of every month at 6:30 p.m., except for the January meeting which will be held on Tuesday due to the Martin Luther King holiday on Monday, at the McDonald Building. The Carthage Historical Committee will hold their regular scheduled meetings on the second Tuesday of each month at 5:15 p.m. at the Museum. The Town of Carthage is accepting applications from anyone interested in serving on the Historical Committee. The Planning Board has their regular scheduled meetings on the first Thursday of each month at 6:30 p.m. at the McDonald Building. Applications are being accepted from anyone interested in serving on the Planning Board. The Carthage Appearance Committee will hold their regular scheduled meetings on the second Monday of each month at 5:00 p.m. at the Town Hall. The Town of Carthage is accepting applications from anyone interested in serving on the Appearance Committee. 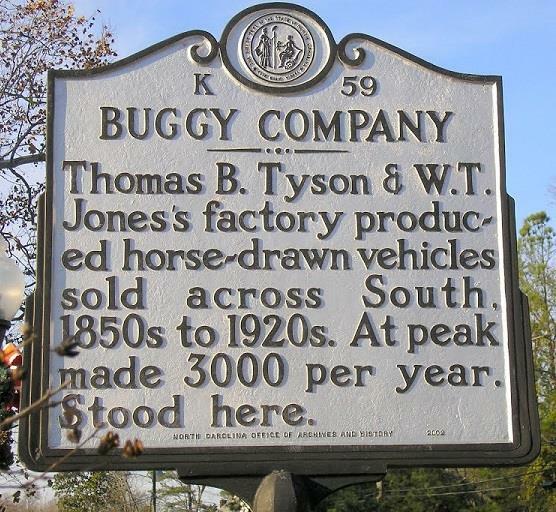 For information on our annual Buggy Festival, Please visit our official site. If you wish to file a Civil Rights program complaint of discrimination, complete the USDA Program Discrimination Complaint Form, found online at http://www.ascr.usda.gov/complaint filing cust.html, or at any USDA office, or call 866-632-9992 to request the form. You may also write a letter containing all of the information requested in the form. Send your completed complaint form or letter to us by mail at U.S. Department of Agriculture, Director, Office of Adjudication, 1400 Independence Avenue, S.W., Washington, D.C. 20250-9410, by fax 202-690-7442 or email at program.intake@usda.gov. Official Site for the Town of Carthage, Moore County N.C. - All Rights Reserved.